3.2. 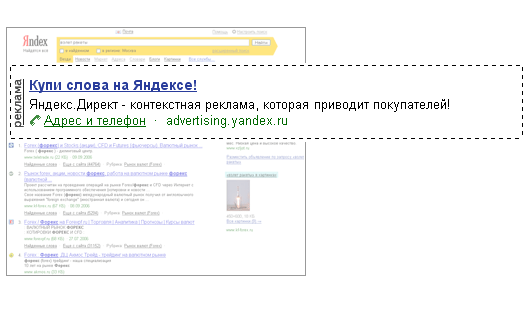 When selecting ads to be displayed on the Advertising spaces specified in 2.1, 2.3, 2.4, 2.5 of these Rules, a key phrase/word (without stop words (http://direct.yandex.ru/help/?id=990397#990402)) and also the Quality factor (according to the definition of this term set in 3.11), CTR and Cost per Click shall be taken into account. 4.2. Impression of the Advertising with the pictures, included by the Advertiser in accordance with the p. 2 of art. 3,6. of the Rules, may be made upon condition that Cost per Click is fixed by the Advertiser (with consideration of the rate set by the Advertiser according to with cl. 3.21 of the Rules) at a level not less than the value set forth in the table on page https://yandex.by/legal/direct_table/ . 4.4.1. When applying the functionality “Maintain network CPC below search CPC” by the Advertiser, the Cost per Click is calculated for the key phrase within the Group of Ads automatically, taking into account the maximum Cost per click, set by Advertiser directly. 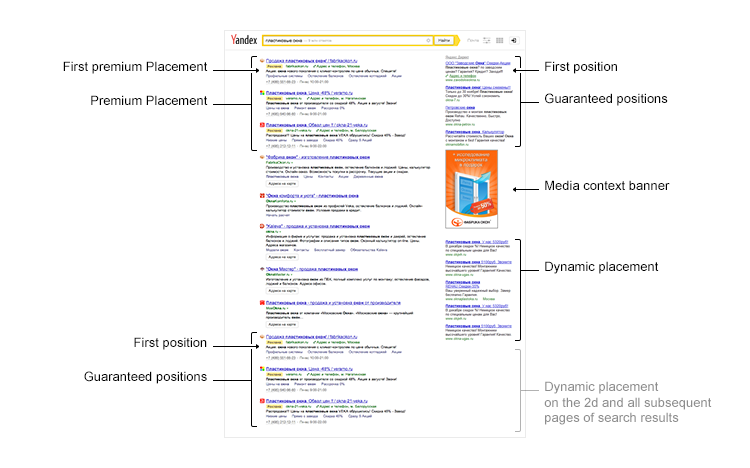 In this case the automatically calculated Cost per Click for impression on Advertising spaces listed in 2.2 of these Rules, shall not exceed the average Cost per Click, deducted from the Advertiser for the impression on the Advertising spaces listed in 2.1, 2.3, 2.4 and 2.6 of these Rules. Previous version of the document: https://yandex.by/legal/direct_display_rules/25082015/. Previous version of the document: https://yandex.by/legal/direct_display_rules/06082015/. Previous version of the document: https://yandex.by/legal/direct_display_rules/15072015/. Previous version of the document: https://yandex.by/legal/direct_display_rules/27052015/. 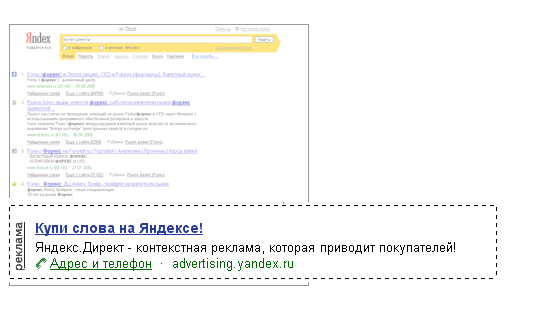 Previous version of the document: https://yandex.by/legal/direct_display_rules/20042015/. Previous version of the document: https://yandex.by/legal/direct_display_rules/15042015/. Previous version of the document: https://yandex.by/legal/direct_display_rules/30032015/. Previous version of the document: https://yandex.by/legal/direct_display_rules/20032015/. Previous version of the document: https://yandex.by/legal/direct_display_rules/17122014/. Previous version of the document: https://yandex.by/legal/direct_display_rules/27112014/. Previous version of the document: https://yandex.by/legal/direct_display_rules/30072014/. Previous version of the document: https://yandex.by/legal/direct_display_rules/25072014/. Previous version of the document: https://yandex.by/legal/direct_display_rules/07072014/. Previous version of the document: https://yandex.by/legal/direct_display_rules/22052014/. Previous version of the document: https://yandex.by/legal/direct_display_rules/19052014/. Previous version of the document: https://yandex.by/legal/direct_display_rules/30042014/. Previous version of the document: https://yandex.by/legal/direct_display_rules/15042014/. Previous version of the document: https://yandex.by/legal/direct_display_rules/12022014/. Previous version of the document: https://yandex.by/legal/direct_display_rules/25122013/. Previous version of the document: https://yandex.by/legal/direct_display_rules/21112013/. Previous version of the document: https://yandex.by/legal/direct_display_rules/15112013/. Previous version of the document: https://yandex.by/legal/direct_display_rules/31102013/. Previous version of the document: https://yandex.by/legal/direct_display_rules/21102013/. Previous version of the document: https://yandex.by/legal/direct_display_rules/14102013/. Previous version of the document: https://yandex.by/legal/direct_display_rules/03102013/. Previous version of the document: https://yandex.by/legal/direct_display_rules/23092013/. Previous version of the document: https://yandex.by/legal/direct_display_rules/26082013/. Previous version of the document: https://yandex.by/legal/direct_display_rules/05082013/. Previous version of the document: https://yandex.by/legal/direct_display_rules/24072013/. Previous version of the document: https://yandex.by/legal/direct_display_rules/02072013/. Previous version of the document: https://yandex.by/legal/direct_display_rules/24062013/.